I have made it my calling to “explore human potential.” As medical students and residents who will shoulder medical care in the coming years, I urge you all to enter Keio Ophthalmology’s training program and train to become ophthalmologists with skills attaining global standards. Our goal at Keio is to mentor clinicians and scientists—in other words, ophthalmologists who think independently and pioneer new medicine. 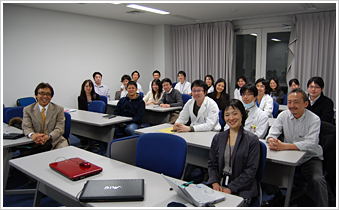 I hope you will examine the Keio University Hospital training program in further detail.